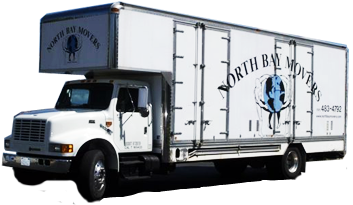 Dear North Bay Movers, I am a local Realtor in Santa Rosa and have been referring clients to North Bay Movers for the past seven years. I have also had the pleasure of utilizing their services for my own personal moves. In my own move I have had very large pieces of furniture as well as a very old piano to move and have even had to have washing machines and dryers carried up long staircases. My experience with North Bay has always been positive. They have been extremely careful with my belongings as well as being clean, careful and polite. I have referred several of my clients for both local and long distance moves and have always had very positive feedback. Not only are their prices very competitive, but they have always been very prompt on returning phone calls, doing proper follow through, and have made the sometime exhausting process of moving a little less painful. I would highly recommend this team and will continue to use them for my own moves in the future.